National Cherry Turnovers Day celebrates a delicious dessert made of a short crust or puff pastry filled with cherries or cherry pie filling and baked to a flaky goodness. Indulge in this sweet French-style treat today! Cherry turnovers can be served for breakfast or dessert. Now, that’s the kind of treat that’s worth celebrating! Cherry turnovers are made out of pastry dough that has been wrapped around a cherry filling and baked until golden brown. The cherry filling makes these type of turnovers both sweet and sour, a tasty treat for your taste buds. 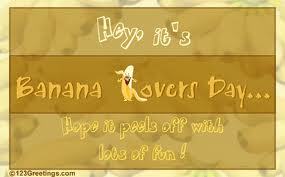 Happy Banana Lover’s Day! For those of you who love bananas, today is the perfect day to indulge in your fruity treat. 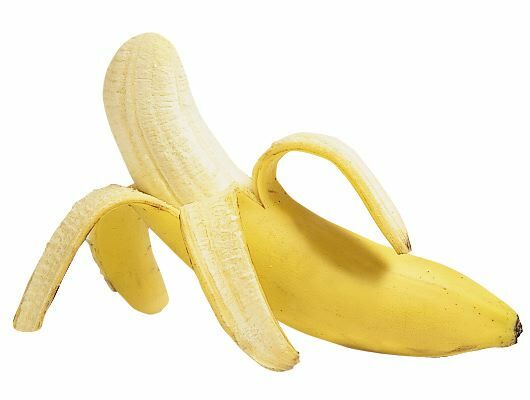 Banana plants are grown in just about every tropical place and make up the 4th largest fruit crop in the world. 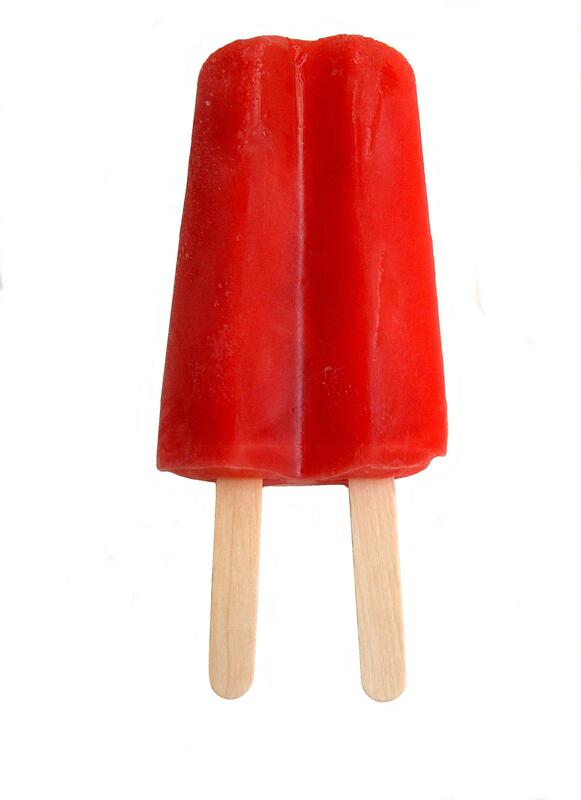 From amusement parks and zoos to the family freezer, cherry reigns supreme as kids’ favorite flavor of popsicle. National Cherry Popsicle Day celebrates a sweet treat that parents can live with too, as they’re not too fattening or very expensive. And in August, they can be pretty darn refreshing as well! It’s hot. Nothing much else to say about it. It’s just hot. Now you could simply crank up the AC, run through the sprinklers a few times and maybe take a dip at a local pool, but why not indulge in some cool, sweet treats to beat the heat? Here are a few tips to keep you sane till the weather cools down. Make popsicles I’ve got a couple boxes of store-bought popsicles in the fridge, but homemade popsicles are a great way to kill a few hours in the morning and then have a cool treat for the hot afternoon hours. Plus, you get to control what goes in the popsciple. Check out these homemade popsicle recipe lists! Host an ice cream potluck Forget the casseroles and pasta salads. Ask your friends to bring over a tub of their favorite ice cream flavor. And don’t forget all the fixings whipped cream, sprinkles, chocolate syrup, bananas, cones you know what I’m talking about. Make snow cones, or shaved ice. Invest in a ice shaver appliance (about 30 bucks, give or take) and suddenly you have all kinds of delicious, COLD desserts at your fingertips. If you can’t make a trip to an Asian market for authentic Hawaiian shaved ice or Korean patbingsu, simply add some fresh fruit, condensed milk, chocolate syrup, ice cream, cereal bits basically, be creative. It’s ice. Things can’t go too wrong. Today is National Whiskey Sour Day. “The whiskey sour is not only one of the oldest and most classic of cocktails of all time but also one of the most well known,” they inform me. Then the press release spins a tale about sailors and scurvy which I found rather suspect. I’ve heard that sailors used to mix a bit of citrus in with their daily ration of rum, and found the tonic had healthful properties. But whiskey? Ah well. Could be. 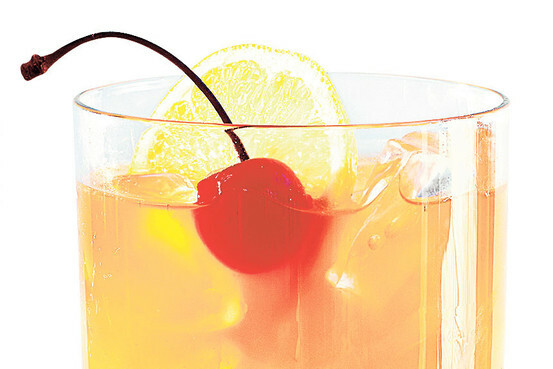 Certainly, the Whiskey Sour is an old refresher, dating back to the 19th century at least. And certainly, nobody really gives much thought to the drink these days, though it is a reliable refresher. 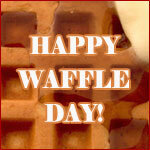 National Waffle Day (August 24) is the anniversary of the first U.S. patent for a waffle iron. Cornelius Swarthout of Troy, New York received his patent for a “device to bake waffles” in 1869. 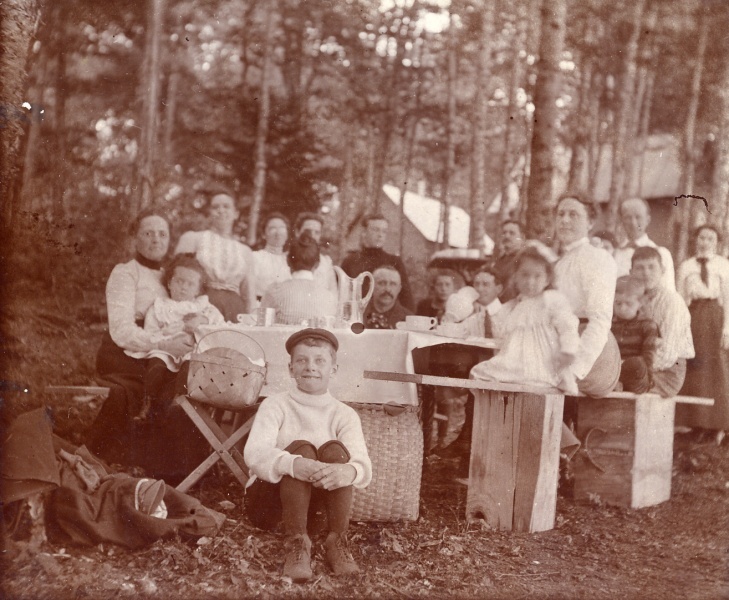 His early waffle iron was used in conjunction with coal stoves, consisted of a griddle and a cover and required flipping of the device to cook both sides of the waffle. 13th Century A.C. – Ancient Greeks cook flat cakes between two metal plates. These early waffles were called obleios and were primarily savory in nature, prepared with cheeses and herbs. 1620 – The pilgrims bring Dutch “wafles” to America. 1735 – The word “waffle” – with two “f”s – appears in English print for the first time. Late 1800’s – Thomas Jefferson returns to the U.S. from France with a long handled, patterned waffle iron. 1869 – Cornelius Swarthout patents the first U.S. Waffle Iron. 1953 – Frank Dorsa’s Eggo Frozen Waffles are sold in Supermarkets for the first time. 1964-65 – Brussels restaurateur Maurice Vermersch brings his wife’s Brussels Waffle recipe to the World’s Fair in New York. 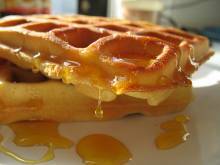 The fluffy yeast-infused waffle becomes a huge hit and becomes known as the Belgium waffle. To apprecipate the great taste of homemade peach pie. If you’ve never had it before, give it a try. Let today be the day you bake your very first peach pie. Try putting cold peach ice cream on top and let it melt on a slice of hot peach pie. Peach pie is the quintessential American dessert in the Southern states. In countless surveys it has been chosen as the favorite dessert in the South. It has also been recognized as a favorite dessert in Canada for hundred of years as well. 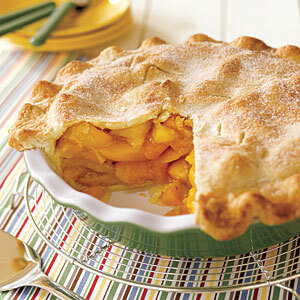 Peach pie was invented sometime around the 14th century in Europe. Though it is unknown who actually created the first peach pie, the first printed peach pie recipe was by Geoffrey Chaucer in 1381 in England. The ingredients in this recipe included peaches, spices, figs, raisins, pears, saffron, and cofyn, a casing of pastry. Dutch peach pie recipes date back to the late 15th century. These recipes were similar to the English recipes but also included a scoop of ice cream placed on top of the pie before it was served. This tradition—peach pie a la mode—was brought to America where most people enjoy their peach pie topped with ice cream. 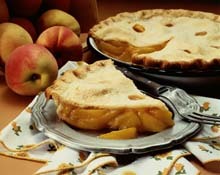 During the 19th century, many homes in the state of Georgia served peach pie and other types of fruit pies for breakfast because it was considered a good, hearty meal to begin a hard day of work. To celebrate National Peach Pie Day, bake a delicious pie or pick one up at your local bakery to share with your family! 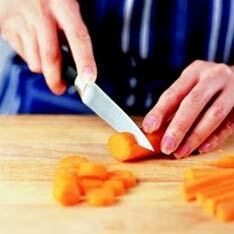 Learn how to be safe in the kitchen while handling or working with knives. Knife safety is very important for people of all ages. Accidental injuries may happen quickly and may be quite severe if proper attention and care are not used while handling knives. When using the knife and the knife falls for whatever reason, never ever try to grab a falling knife. If a knife is falling, jump away from it and let it fall. Make sure you are far away from it.” Trying to catch a knife that slips may be a reflex but it can be very dangerous and may actually be worse than letting the knife fall to the floor. Proper handling of a knife is critical to reduce the risk of an accidental injury. Keeping knives sharp is important so they will slice through items easily without requiring the user to exert excessive force that may cause the knife to slip out of his hand. Proper technique and using the correct knife for the cutting job will reduce risks as well. Always cut away from your body or slice away from your body not towards your body. If you slice a tomato or potatoes and you use one hand to hold the vegetable and use the other one to slice it, bend your fingertips to the inside of the hand and slide the blade along your knuckles. Never go with the edge above the knuckles and never put your fingertips out. The proper way to hold a knife is really very, very tough to explain. You probably have to demonstrate and to show it. I would say for the average person to really just hold it at the handle. It is advisable to use a cutting board rather than a counter top or surface that may not be stable and solid. Never hold an item in your hand that you are cutting such as a piece of fruit. This recipe puts the blackberries grown in our Sacramento Delta Levee areas to good use. It’s a great summertime dessert. You can also substitute fresh blueberries for our local berries. August 23 is National Spongecake Day. I love spongecake. It is so soft and spongy. I like spongecake with fresh strawberries and whipped cream on it. I like spongecake with a drizzle of melted chocolate on it. I love spongecakes all by themselves with nothing on them. The airy, light delight of a sponge cake dessert holds nearly universal appeal. You might enjoy it in madeleines, ladyfingers, or layered with a variety of fillings. Light and airy, sponge cake is the perfect dessert for a hot summer night. Though it typically only contains the basic ingredients of eggs, sugar, and flour, the key to making the perfect sponge cake is to beat the batter thoroughly to create volume. After it has been cooked in the oven but before it has cooled, sponge cake is very flexible. This allows the creation of rolled cakes such as the Swiss roll or other variations on the typical sponge cake. The Victoria Sponge Cake which contains jam between two sponge cakes, was named after Queen Victoria who enjoyed having a slice with her afternoon tea. 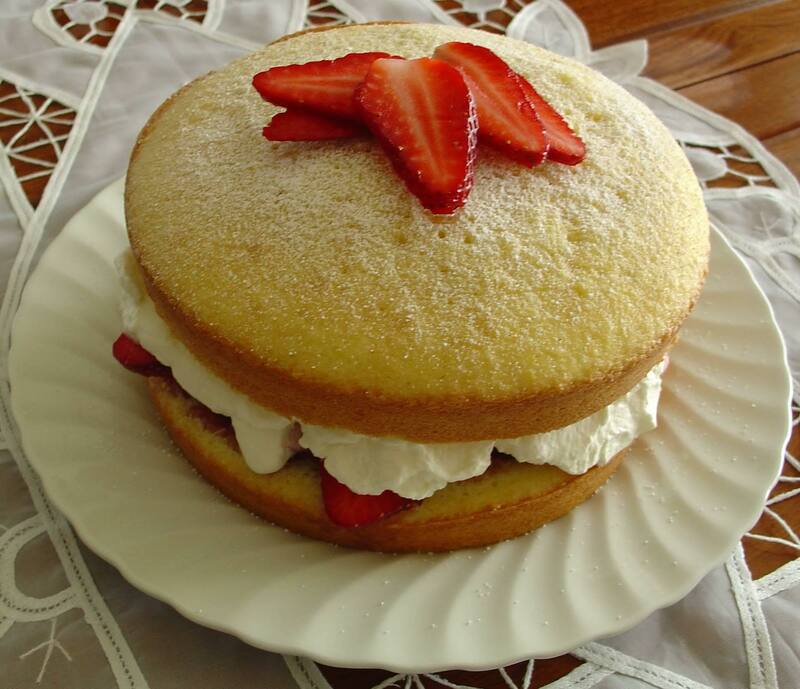 Bake one today and enjoy National Sponge Cake Day! Not to be confused with National Spongebob Squarepants Day. Happy National Spumoni Day, everyone. I have to be honest with you, my ice cream loving friends. The word Spumoni always makes me think – not of dessert – but of that machine they run over ice rinks back in Boston to smooth them out. Yes, I know that’s a Zamboni – I’m just saying that it my opinion, the word Spumoni isn’t exactly culinarily lyrical and has the wrong sort of feel. Still – it is what it is. But what is Spumoni exactly and how can I keep from mixing it up with the Zamboni? Spumoni is a layered ice cream dish where as the Zamboni layers ice. Spumoni led to the creation of Neopolitan ice cream. 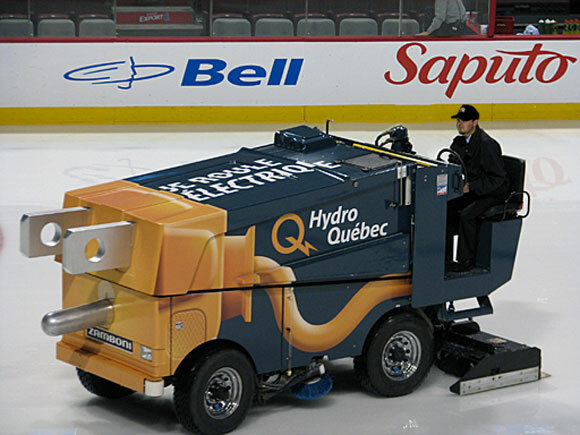 The Zamboni led to – um, Frank Zamboni meeting Sonja Henie. Which I am sure was nice for both of them. Spumoni surely is known throughout the land of the Zamboni’s birth – California. Spumoni quite often involves fruits and nuts. The Zamboni involves nuts and bolts. I don’t know about you but this little exercise has really cleared things up for me. They aren’t really similar at all. I don’t know what I was thinking. I really feel I am on a roll. What do you, kids? 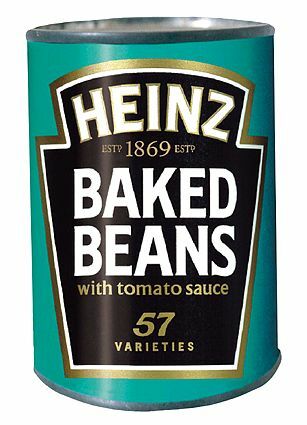 Should we tackle another culinary confusion next time? Cannoli vs cannelloni? August 22nd is National Spumoni Ice Cream day! What better way to celebrate than making this fun and attractive dessert. Spumoni is a molded Italian dessert usually made by layering two or three different flavors ice cream with a layer of sweetened whipped cream which has nuts and candied fruit folded in. Spumoni is usually served in slices. Impress your family or guests with this cool treat. Not to be confused with tort, a civil wrong at law. This is difficult to define, but commonly taken to mean a rich and often layered and filled cake usually made with little or no flour; instead, fine bread crumbs or grated nuts are used. Rich butter icing, chocolate or whipped cream complete it. 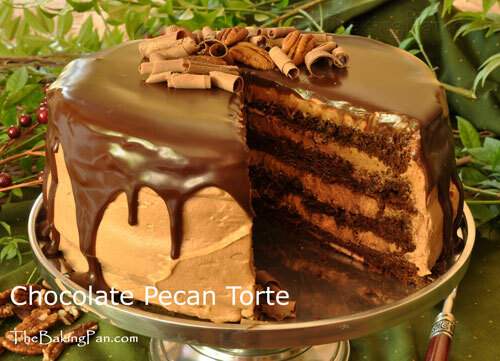 A torte is a cake made primarily with eggs, sugar, and ground nuts instead of flour. Variations may include bread crumbs as well as some flour. Tortes are Central European in origin. The word torte is derived from the German word Torte, which has a somewhat different meaning), which was derived from the Italian word torta, which was used to describe a round cake or bread. The most well-known of the typical tortes include the Austrian Sacher torte and Linzertorte, the German Schwarzwälder Kirschtorte and the many-layered HungarianDobos torte. But other well-known European confections are also tortes, such as the French Gâteau St. Honoré. Tortes are commonly baked in a Springform pan. 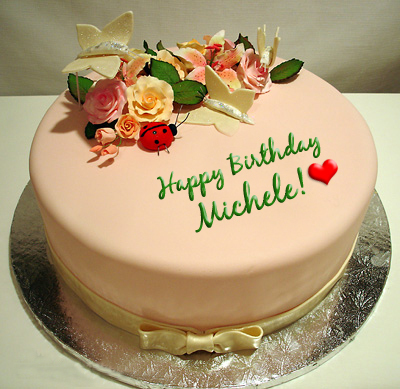 An element common to most tortes is sweet icing. 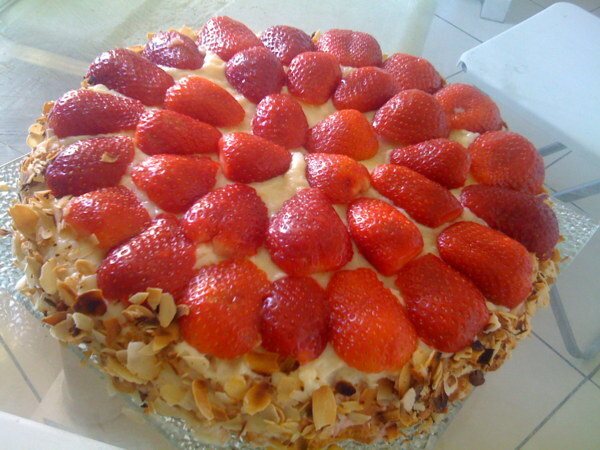 (Exceptions include several French tortes, such as Gâteau Mercédès and Gâteau Alcazar.) When the cake is layered, a thick covering of icing is placed between the layers, and there is almost always icing on the tops and sides of the torte. 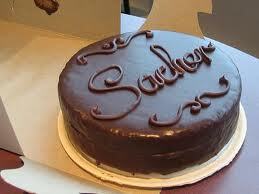 A number of European tortes do not have layers. National Lemonade Day is when we honor that cool refreshing drink, lemonade! Celebrate National lemonade day by getting creative with your favorite flavors and make pink lemonade, watermelon lemonade, iced tea lemonade, or any flavor you like. Just make sure you have plenty of lemons on hand as well as ice cubes, fresh water and sugar. 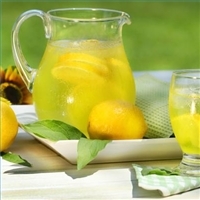 Regular lemonade is traditionally made with fresh squeezed lemons, water, sugar and ice. Simply use one cup of lemon juice, 2 cups of water and 2/3 to 1 whole cup of sugar, then pour the mixture over ice and enjoy! 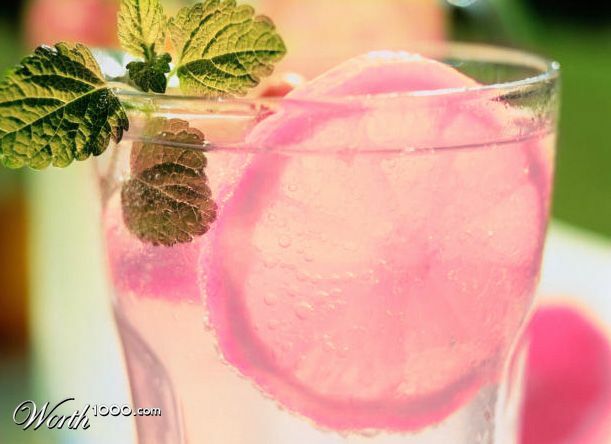 Pink lemonade is made with the same basic lemonade recipe above but coloring it pink with grenadine. Pink lemonade actually originated in Greece, or so the story goes. Greek parents would have family gatherings and put red wine in the adult’s lemonade. The pink color served a dual purpose – the pink color distinguished the alcolic drink from the kids drink by color and the adults had a drink they enjoyed because of the alcohol. 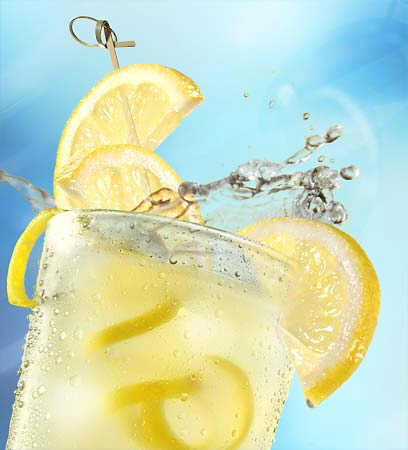 Hard Lemonade is made by adding potent clear alcohol to the lemonade, such as tequila, gin, vodka, white rum, etc. * Various fruits, such as strawberries and raspberries can be added for color and flavor. A small amount of beet juice results in pink lemonade with little change in flavor. * Herbs such as mint, borage, lavender, and lemon verbena can change the aroma of the drink. * Including the peels, bruised and sliced, gives more bite and a stronger aroma. * Other citrus fruits can be used, including lime, orange, and grapefruit. Sugar and water content should be adjusted to taste. In American parlance, these are not technically lemonades, but limeade, orangeade, etc. And here’s my own recipe: Use the regular lemonade recipe above and add a dash of cinnamon or use a cinnamon stick as garnish in the glass. Crush a mint leaf with your fingers to release the flavor and toss it into the glass as well. Mmmm, cinnamon mint lemonade! Did you know there are more than 45 billion pounds of potatoes harvested each year? And think of all the delicious ways we love to enjoy them: baked, grilled, mashed, boiled or fried – there are so many ways to eat a potato! Potatoes have been a popular aspect of diets around the world for centuries. When you buy potatoes, they should be well shaped, firm with a smooth skin and few shallow eyes. Pick ones with good color without any cuts or dark spots. Always store potatoes in a cool, dry place- a brown or perforated bag is the best idea for storage. 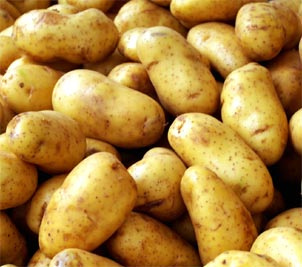 Potatoes can last 3-5 weeks (or maybe longer) if stored correctly. Follow these steps and pick your favorite recipe, and you can enjoy the perfect potato anytime. 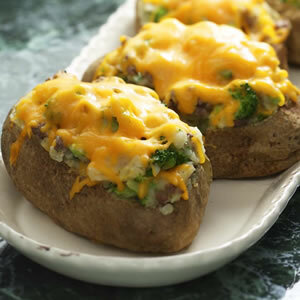 My family’s favorite way (besides French fries) is a baked potato drizzled with veggies, cheese, salt and pepper. Have fun cooking on National Potato Day! The photo below may look like three delicious soft serve vanilla ice cream cones, but the treats are actually cupcakes! Take a break from the heat today to observe National Soft Serve Ice Cream Day. 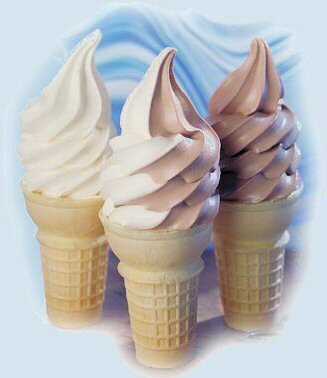 Soft Serve ice cream is a treat found in fast food restaurants, on buffet dessert bars, and in ice cream parlors. It can be served on a sugar cone, in a waffle cone, as a part of a specialty dessert like a banana split, or in a bowl. It may be dipped in chocolate, or covered with a topping like sprinkles or crushed cookies.Soft ice cream can be served in a variety of flavors. With a graham cracker crust, custard filling and meringue topping, this pie was one of my favorites when I was growing up and it still is today. National Vanilla Custard Day celebrates this heavenly dessert made from a combination of milk or cream, egg yolks, sugar, and vanilla. Vanilla custard has been around as early as the fourteenth century. 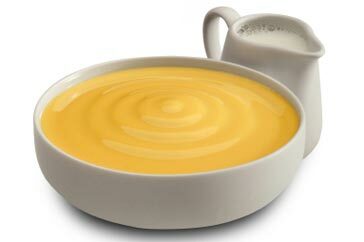 Today, custard is an important part of dessert recipes in many countries around the world. It can be cooked in the oven, in a saucepan on the stove, in a pressure cooker, double boiler, or even very simply in the microwave. Celebrate the diversity and deliciousness of vanilla custard today by making your own! A frosty blender full of strawberry-citrus slush. You will enjoy this with or without the rum! Mai Tai translates from Tahitian to mean “Out of this World.” A fitting description for this cocktail. The Mai Tai came to light in 1944 in Oakland’s Trader Vic’s. There Victor Bergron, one of the founders of the tiki bar, put together this great drink that deserves to feature the best rum you can get your hands on. Over the years the recipe has changed greatly. The Hurricane became popular at Pat O’Briens bar in 1940’s New Orleans, apparently debuted at the 1939 World’s Fair and was named after the hurricane lamp-shaped glasses the first drinks were served in. It’s said that O’Brien created the heavily rummed drink as a means to get rid of the large stock of rum his Southern distributors forced him to buy. Avast, me hearties! 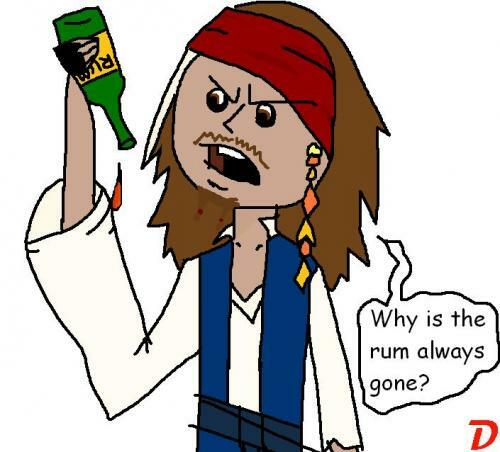 Yes, today (Aug 16th) is National Rum Day. How did this day in August come to have such a special recognition? I get the question all the time and have yet to find the answer. Was it a marketing ploy by one of the rum companies? I know it wasn’t Bacardi because I asked. Is it some tribute to rum’s early influence on the founding of America? Was it the ingenious idea of some bar hoping to sell more Hurricanes and Mai Tais? That’s another possibility and it could have been picked up by others in hopes of increasing sales of Strawberry Daiquiri. Or was it some lone guy, belly up to the bar and a few too many Mojitos in, who declared for the country that that day would forever be known as National Rum Day? National Rum Day countdown courtesy of Mount Gay Rum. Click on the chart (above) to make it bigger and enjoy your drinks in color. So the question of the week is… Who started National Rum Day, when did it begin and why? If you know the answer I’d love to be enlightened. Let us not dwell on this mystery too much and instead grab a great bottle of rum, some fresh fruit and start shaking up a great rum cocktail, we have an excuse! Nothing speaks of warm weather and relaxation quite like a rum cocktail, especially if it has a fruity garnish and a paper umbrella. With August being the height of summer, today (Aug. 16) is the perfect occasion to celebrate National Rum Day. If every dog has its day, then it should come as no surprise that there’s a day dedicated to the celebration of the bratwurst: Sunday, August 16th is National Bratwurst Day. 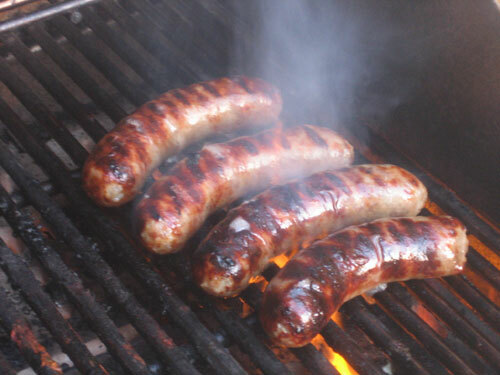 Bratwursts are made a lot like hot dogs are: a meat mixture is stuffed into casings and then pre-cooked to prevent spoilage. Typically made of pork, beef, and a small amount of veal, this mildly-spiced sausage hails from Germany like so many other sausages. So, why not celebrate the bratwurst with a German meal? Grab a beer, throw some mustard on your brat, and serve up some sauerkraut and pretzels… or just head to a German restaurant. 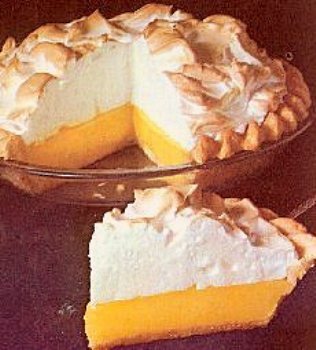 It has a light flaky crust, refreshing lemon filling and soft meringue with pretty golden peaks. There are, seemingly, a million different types of pie out there, but few are scrumptious enough to get an entire day in its honor. Today, pie lovers can unite all over the world in celebration of National Lemon Meringue Pie Day. This specific pie has a sweet, citrusy twist that makes it a perfect treat to enjoy during this warm weather. Lemon flavored puddings and cakes have been enjoyed by all since the Medieval Period, and there have been a multitude of different pies with lemon fillings and meringue. 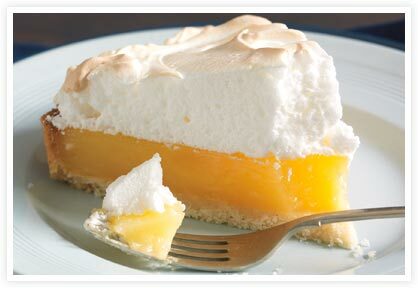 However, the modern day lemon meringue pie came around in the 1800s, after years of being perfected. The pie itself has a flaky, graham cracker if you prefer, crust with a tasty lemon flavored filling on top of that. The top of the pie is the meringue, which is mainly whipped egg whites and sugar. Meringue is light and sweet, and many recipes will ask for additional spices such as vanilla, almond and coconut extract, or cream of tartar. Creamsicles are a great treat anytime. When you make a Creamsicle pie, it brings back memories of enjoying a hot summer day with a cold Creamsicle. You will need at least 4 hours to freeze this pie, so if you need it for tonight’s dessert, plan accordingly! 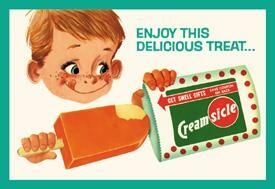 Creamsicle is a brand name, also owned by Unilever, for a frozen dessert which resembles an ice pop, with a center composed of vanilla ice cream, and an exterior layer of flavored ice (all around a wooden stick). LOOKING FOR AN EASY SUMMERTIME DESSERT? Here is a holiday for all the NON-foodies online to enjoy today. 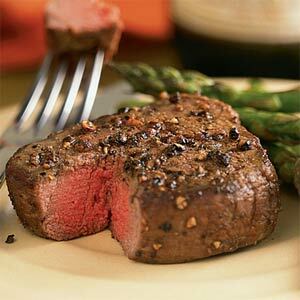 “Filet mignon (French for “exquisite or dainty fillet”) is a steak cut of beef taken from the tenderloin, or psoas major of the steer or heifer. Walking for 30 to 60 minutes each day is one of the best things you can do for your body, mind, and spirit. 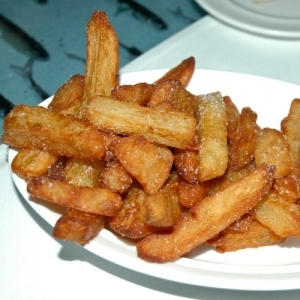 August 12, 2009 is National Julienne Fries Day. Julienne refers to the cut of most vegetables, but usually potatoes, into a fry-like shape. 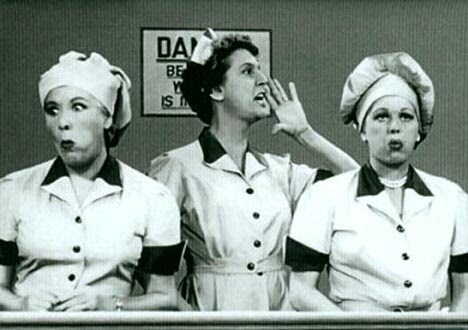 The term was brought to the forefront of American pop culture by Ron Popeil’s commercials for the Veg-O-Matic, “It slices! It dices! It makes Julienne fries!” Urban legend indicates the word is derived from Julia Child. These savory pastry dishes are an American favorite — it’s no wonder today is National Raspberry Tart Day! In case you’re wondering, a tart is a type of pie with an open top. 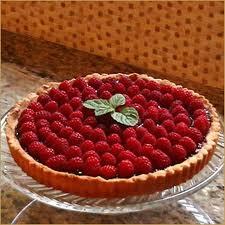 Sweetened fruits such as raspberries are often arranged on the pastry and then baked in the oven. Tarts were first introduced during Medieval times and can be made either savory or sweet. Raspberry tarts are one of the more famous types of tarts, so try your hand at baking one today in celebration of this divine dessert! National S’mores Day is August 10. The Hershey Company and Kraft Foods have shared five S’mores recipes. Just click here to view these ideas! Here are a few ways to celebrate with four ways make S’mores. Be sure to have a responsible adult around if you are going try the backyard fire pit idea. 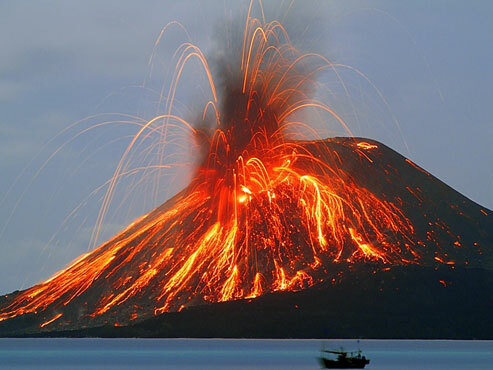 1) Microwave ’em – You can make S’mores, in seconds, right in your microwave. It’s easy; just top each of four graham squares with one chocolate piece and one marshmallow. Place on a microwaveable plate and microwave on HIGH 7 to 10 seconds or until marshmallows puff and chocolate begins to melt. Carefully remove plate from microwave and then cover the S’mores with remaining graham cracker square. 2) Fire up the Fire Pit – Can’t get out to a campground this National S’mores Day? No problem! Make an impromptu campfire setting at home over your backyard fire pit. You can even use real sticks to roast your marshmallows to make yourself feel like you’re immersed in the great outdoors. 3) Sweet Grilled S’mores – Mix it up this year by making S’mores on the grill. Build the S’mores ahead of time then wrap in aluminum foil. Place the wrapped S’mores on the grill and cook 1 to 2 minutes over a medium-hot grill on each side or until the marshmallow is gooey and the chocolate is slightly melted between the graham crackers. 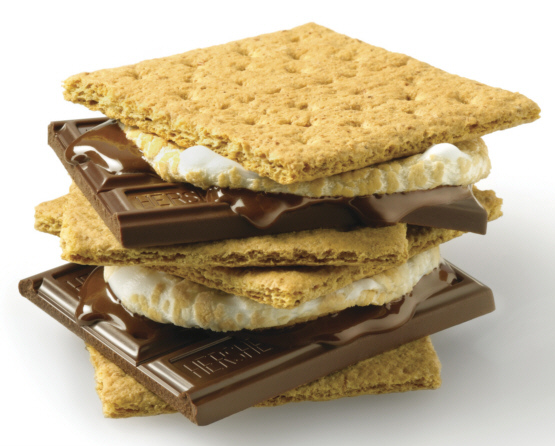 4) Classic Campfire – Everyone loves classic campfire S’mores. If you’re looking for a reason to get together with family and friends before the cold weather returns, plan a camping trip to commemorate National S’mores Day and make the timeless treat the center of your fun. Start by placing half of a chocolate piece on top of half of a graham square. Then, lightly toast a marshmallow over the campfire and place it on top of the chocolate. Finally, top the toasted marshmallow with the remaining graham square half and press together. Just like how every food culture has a version of meat-on-a-stick (kebabs, souflaki, brochettes, etc. 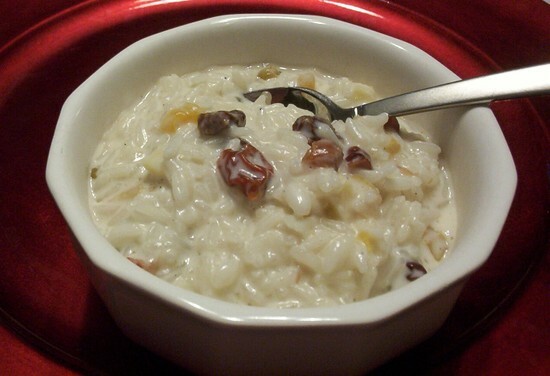 ), every food culture has a version of rice pudding. Why? Rice pudding is delicious, inexpensive, and uses ingredients that everybody has: rice, milk, sweetener, and flavoring. Zucchini is one of those vegetables we embrace year-round, and summer is no exception. 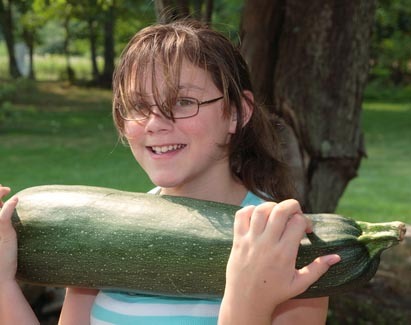 As many of you, here at the Sac Chef we’ve been favoring light lunches and dinners with the oppressive summer heat, yet zucchini manages to tie in well, with its natural moisture and vegetal flavor. You’ve all surely heard jokes where the punch line involves a box of zucchinis left on your doorstep like so many kittens. Since zucchini plants tend to be fruitful (and yes, zucchinis are fruits) many recipes have been developed that make creative use of this bountiful summer squash. Often in these recipes, zucchini takes a back seat to other ingredients. After all, it’s quite nondescript in both flavour and texture. This make it incredibly versatile, and it’s worth taking advantage of this fact. Zucchini is a source of several good nutrients including Vitamins C, K and B6, Riboflavin, Folate, Magnesium, Potassium and Manganese. It’s also high in fiber and contains some high quality protein, as well as low GL carbs. 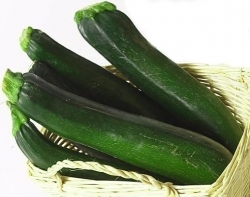 In essence, eating very few calories of zucchini will give you lots of nutrition and help you feel full. 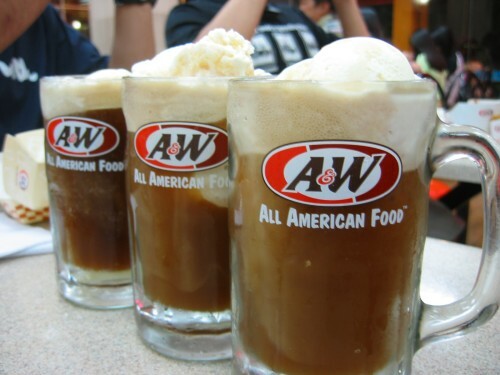 With smooth vanilla ice cream, coppery root beer, and frothy foam, a root beer float is an all-American classic. Root beer was manufactured, bottled, and sold starting in 1880, and legend has it that thirteen years later, the root beer float, which is sometimes referred to as a black cow, was first invented. 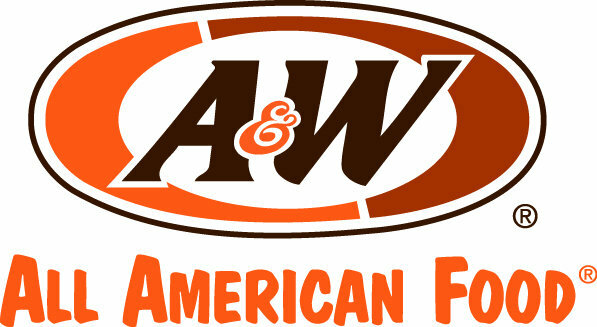 In celebration of National Root Beer Float Day (August 6), A&W Restaurants will treat consumers to a free, A&W Original Root Beer Float, with any purchase. To get your coupon, visit HERE and participate in a poll to share how you will enjoy your favorite treat: with a straw or a spoon. 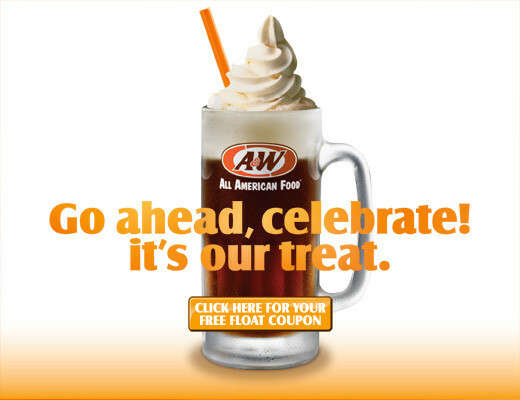 The coupon is good for a free regular size Root Beer Float with any purchase until Aug 21st. Coupons are good while supplies last and are valid at participating locations. Hold the phone. Hold everything. Did you know that August is National Brownies at Brunch Month? The brownie, one of America’s favorite baked treats, was born in the U.S.A.—we just aren’t quite sure where—although evidence points to New England in the first few years of the 20th century. 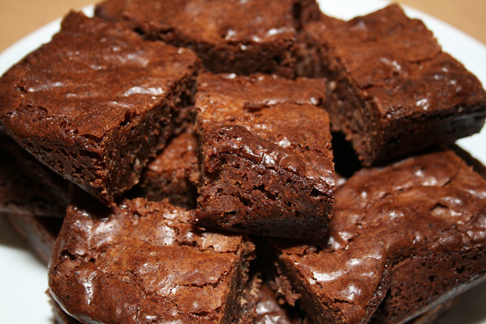 Although cake-like and baked in a cake pan, the brownie is classified as a bar cookie rather than a cake. There are thousands of recipes, both “cake” types and “fudge” types. Either is perfectly correct—and delicious. Today is “Grab Some Nuts” Day. First of all, shame on you for what you’re thinking. Second, shame on you for what you’re thinking. Nut or not a nut? 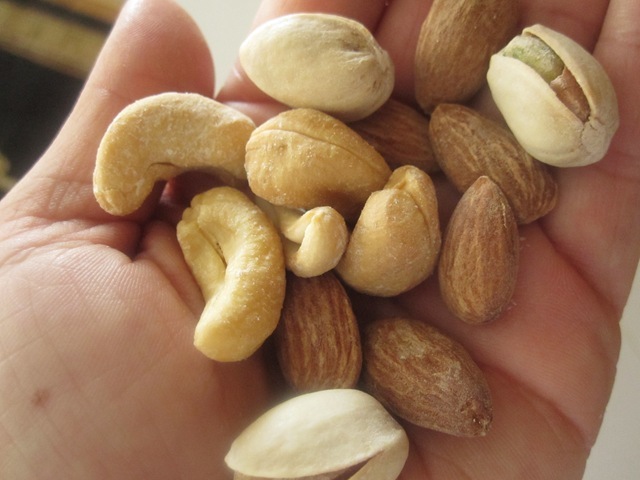 Nuts are a one-seeded fruit that are popular salted snacks or common ingredients in recipes. But did you know that some of the most popular nuts are not technically nuts? Walnuts are not a nut. Almonds are a nut. 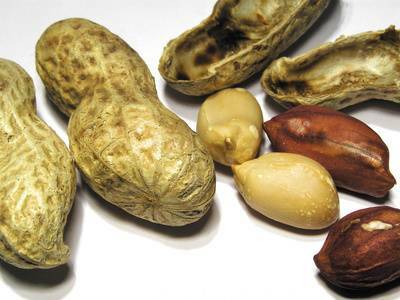 Peanuts are actually legumes. Acorns are nuts, but they taste good only to squirrels, it would seem. Test your knowledge of nuts on National Grab Some Nuts Day! My favorite nuts are cashews and pistachios, and I’ve been meaning to pick a can or two up (even if I do think of nuts as a fall and winter snack, don’t ask me why). 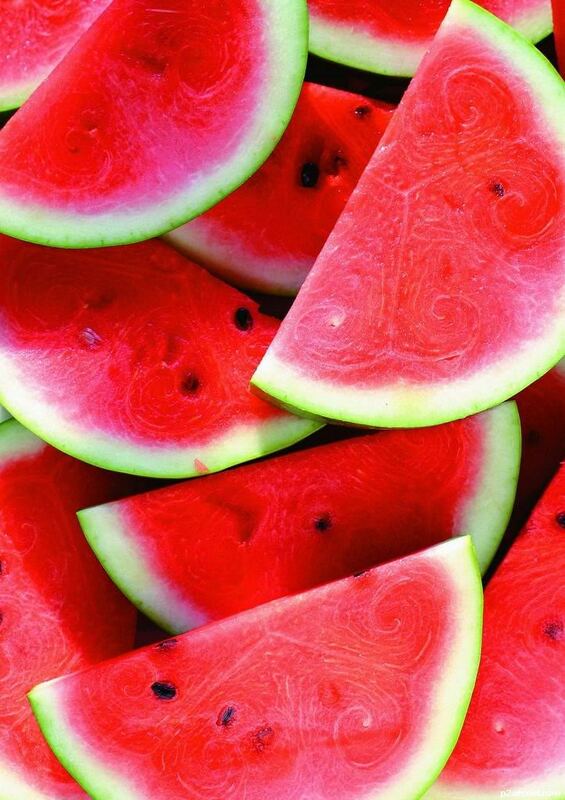 Watermelons. Farmers tote them and set up stands everywhere to bring them to the consumer fresh; along heavily trafficked country roads, in the corner of convenience store parking lots and farmer’s markets. These heavy summer fruits can’t hide with their enormous size. Yet the tiny single serve size found in the grocery store is quite a bargain for the consumer who doesn’t quite want a watermelon of gigantic proportions. 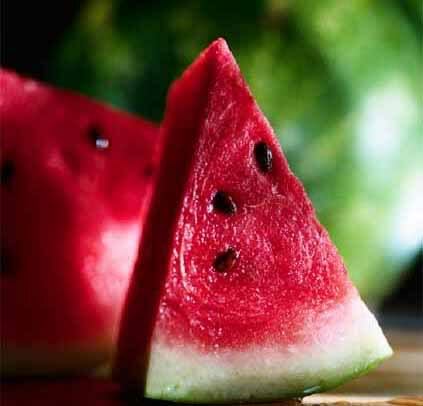 Although there has not been an act of Congress to set the laws in motion to make National Watermelon Day official, this day has been set aside on some calendars as ‘the’ day to formally taste this summer fruit with all its tasty goodness. Since watermelons contain approximately 90% water with natural sugary sweetness it makes perfect since that this specific fruit would pair beautifully in refreshing summer cocktails. 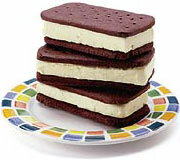 Ice cream sandwiches are handheld desserts consisting of a slice of ice cream (usually vanilla), with a small layer of a soft cake-like pastry wafers (usually chocolate) on the top and bottom. 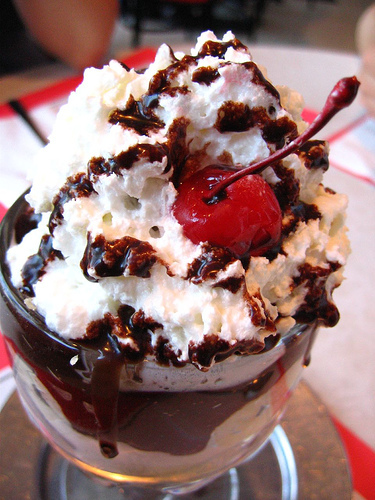 The current version was invented in 1945 by Jerry Newberg when he was selling ice cream at Forbes field. Alternatives to wafers are often used, such as chocolate chip cookies. 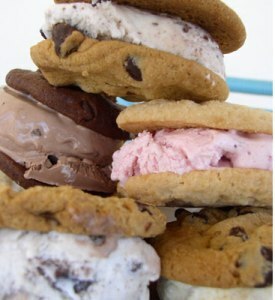 Many companies offer alternatives to the conventional ice cream sandwich as well, such as San Francisco’s It’s-It, who use oatmeal cookies and dip the sandwich in dark chocolate. National Cheesecake Day is an unofficial holiday which comes annually on July 30th. The observance, which is part of a surprisingly large tradition of food holidays, has not been officially endorsed by any presidents, and does not have any congressional records to solidify its claim. but this certainly does not stop thousands and maybe even millions of people from across the country from celebrating the decidedly delicious holiday. 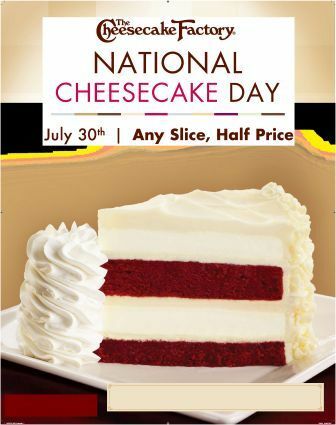 There certainly is no reason that cheesecake should not have its own holiday. Records of cheesecake date as far back as 770 BC, when the dessert, or something like it at least, was served to Olympic athletes. Today, it seems as if everyone has their own take on how cheesecake should be baked. There are many European, Latin American, Asian and, of course, American variations on how the dessert is baked and served. We have a lot to thank our Italian friends for–fine art, sports cars, leather goods, handsome men, and pizza. We also have the Italians to thank for today’s reason to celebrate: National Lasagna Day. 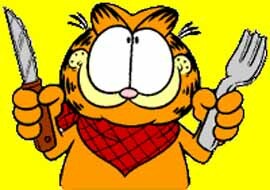 Favorite food to beloved cartoon character Garfield as well as many others, lasagna alternates layers of pasta, cheese, and sauce (and sometimes meat and/or veggies). It’s utterly delicious and extremely filling. 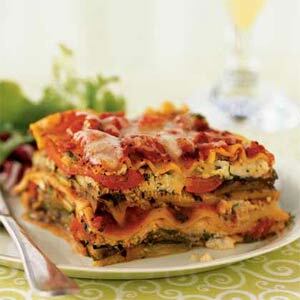 Celebrate National Lasagna Day by finding a new recipe to try and pairing it with an Italian wine! What the hell is it!? I say we reinvent the meaning of the the Day; not let it die off, but just give new blood to the meaning. One would be to sacrifice a little extra money on some really good cheese. Or just money that was intended for something else, and buy cheese with some of it. Something like that. And it would still be a national celebration! And the dairy industry would make a killing on us that day. It’s a win/win situation, really. 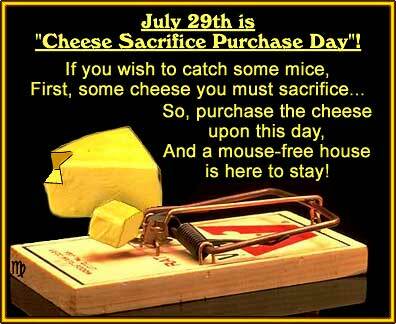 All terms of the holiday would then be met…National Cheese Sacrifice Purchase Day. 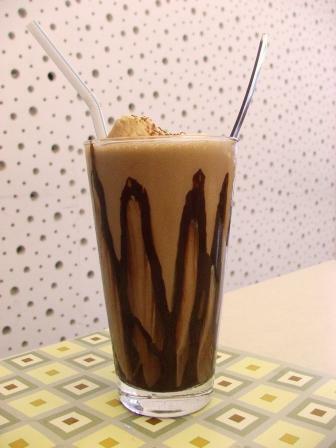 National Milk Chocolate Day is a special day for a special treat. Are you a “Chocola-holic”? If you are, you look forward to each and every chocolate related holidays. There are lots of flavors of chocolate. 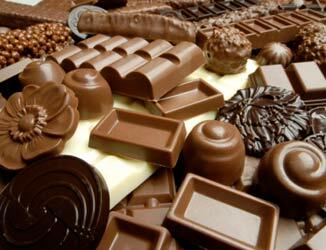 Milk chocolate is enjoyed in candies and in baking. Milk chocolate is the favorite of millions of people. So, its only fitting that it gets its very own special national day. 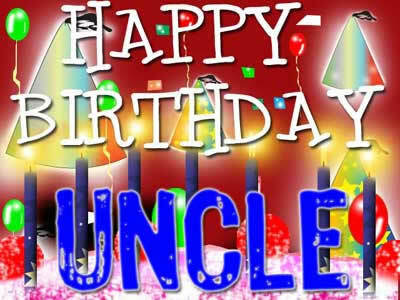 Important Note: Don’t be dyslexic about this special day. Today is a day for Milk Chocolate, not Chocolate Milk Day. Lest there be any doubt about celebrating this day…….. Today should be spent consuming and savoring generous amounts of your favorite milk chocolate treats. Boasting a luscious cheesecake flavor, this pretty pie gets creative with phyllo dough. 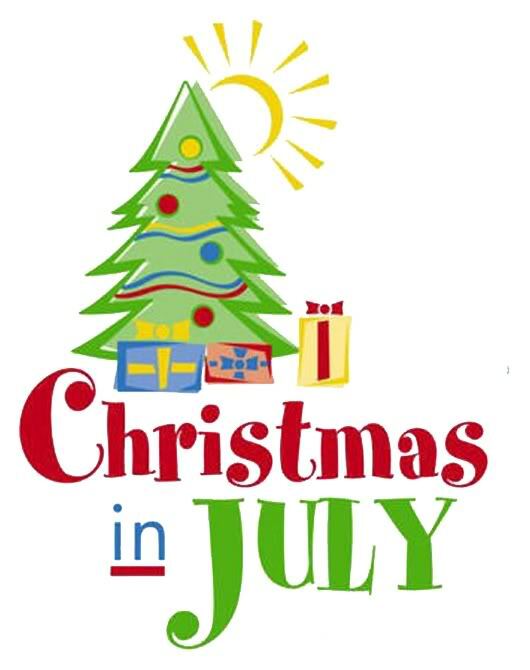 Only 5 months ( 152 Days) until Christmas. Now is a great time to start your Holiday shopping! Take care of your skin in this heat! I love Arbonne International’s sun line. They have an SPF 15 and 30. They protect against UVA and UVB rays. My one friend swears by it because she always would BURN on her chest and Arbonne’s SPF 30 is the only one she found where she no longer burns there. My other friend found that the SPF 30 is the only one that does not make her face breakout. Everyone knows the best-tasting vegetables come from your own garden. Use your garden-grown veggies to create this colorful, nutritious dish. National French Fries Day is July 13th and French Fries happen to be my favorite food! Even if French Fries aren’t known for being very healthy, you should use today as an excuse to enjoy them guilt free. 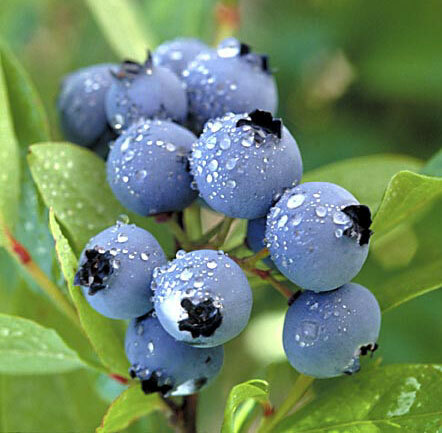 July was proclaimed National Blueberry Month by the United States Department of Agriculture on May 8th, 1999. Blueberries are grown in 35 states in the US, and the United States produces over 90% of all of the blueberries in the world. Click here for lots of great Blueberry recipes! 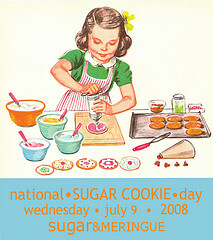 National Sugar Cookie Day is a day to satisfy your sweet tooth. Popular with young kids, and old kids, sugar cookies usually don’t last long around the house. Sports and hot dogs go together like cookies and milk, a truly American institution with a rich and interesting history. Whether you call them hot dogs, red hots, wieners, franks or frankfurters, learn the good, the bad and the ugly. Every year we celebrate Macaroni Day on 7th July, it’s time for some yummy treat for your pals. 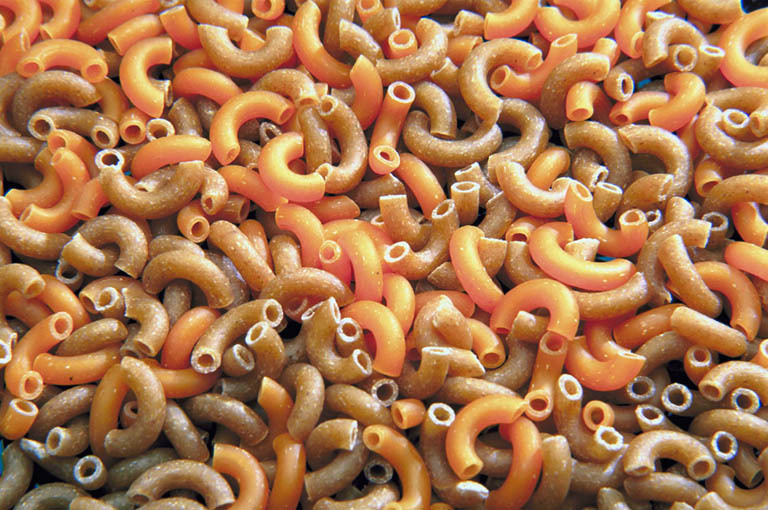 Macaroni comes from Italian maccaroni. It’s another one of those “etymology obscure” words. English borrowed the word from Italian in the 16th century. However it is a grate fun day to us so don’t miss this day without celebration. This is a delicious basic southern fried chicken recipe. National Fried Chicken Day is day to enjoy crisp and tasty, finger licking good fried chicken. 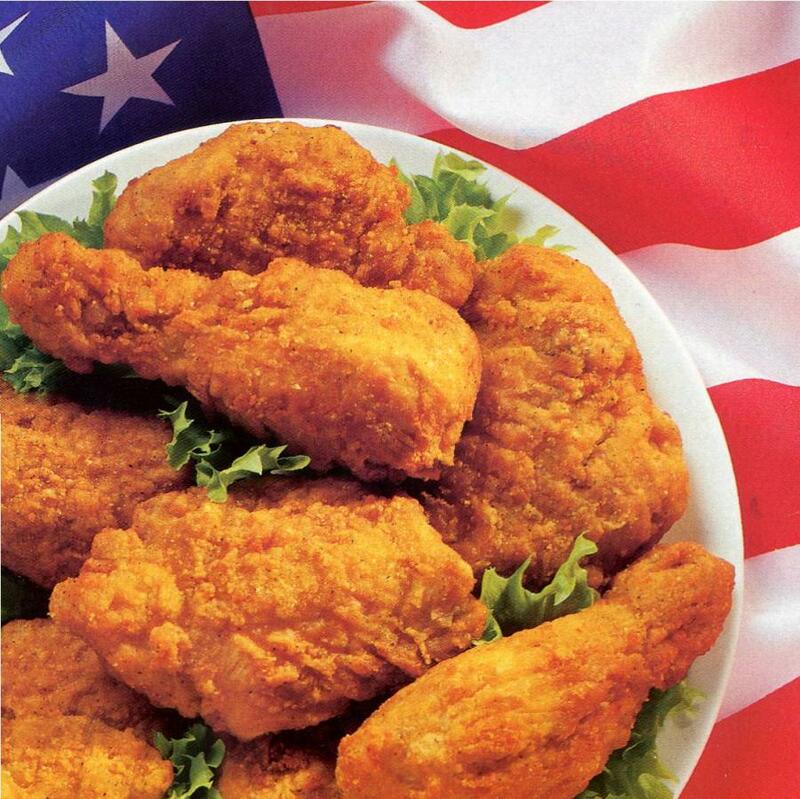 Fried chicken is one of America’s favorite meals. Sure, we all know that fried foods are not good for us. But, fried chicken tastes ohhhhh so good. We just can’t resist having it on a regular basis. There’s just one thing you need to do celebrate this day: Eat some fried chicken. 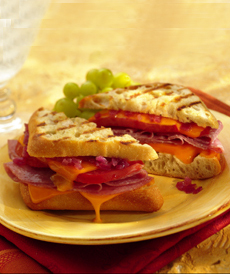 You can have it for lunch, dinner or cold leftovers as a snack. Better still, have it for lunch, dinner, AND for a snack. 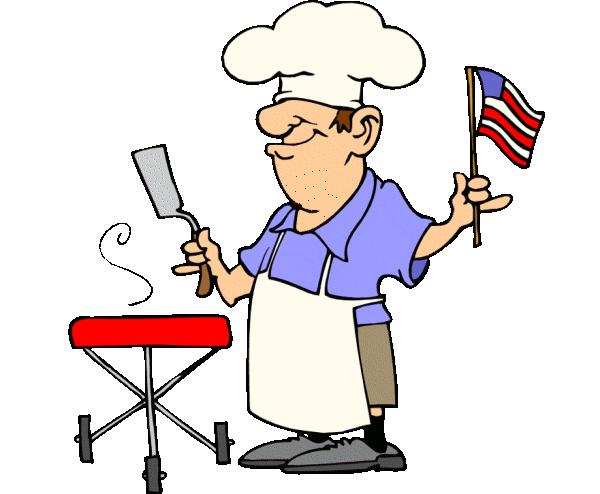 I hope you all are enjoying your Fourth of July weekend! A cool lemony bar–perfect for summer! You might think that kids most popular cereal would be Count Chocula, Fruit Loops or any one of the other sugar coated morning meals. 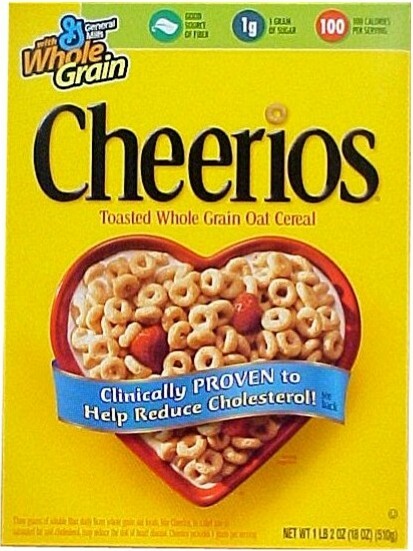 But according to most studies, it’s CHEERIOS, that plain old oat cereal in the bright yellow box that has won over kids for almost 70 years. 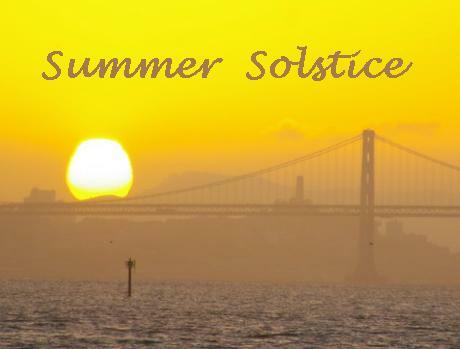 How else do we celebrate the first day of Summer! Ice Cream Soda Day is a great summer cooler. It’s hot. It’s muggy. And, an Ice Cream Soda is a flavorful way to cool off. The flavor of Ice Cream Soda is your choice. Any will do. Chocolate and vanilla are the most popular. 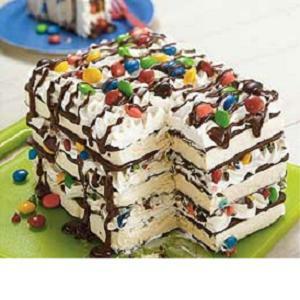 But, don’t shy away from being creative with the flavor of ice cream or soda. 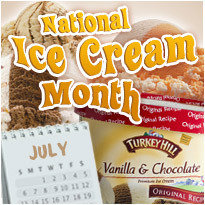 BTW: If you happened to notice, there are numerous “Ice Cream ” days this month. We think you will agree that the ice cream manufacturers have done a splendid great job of promoting their product. ATTENTION WINE LOVERS!! 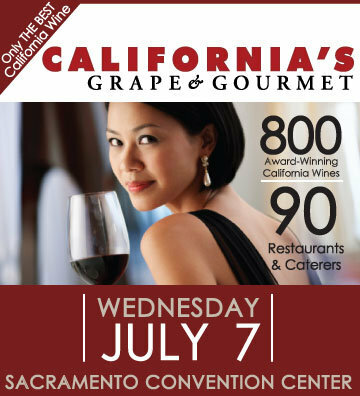 If you like good wine, you’ll love California’s Grape & Gourmet. * Live music by Wonderbread 5! 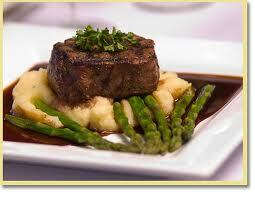 This is my Father’s favorite meal. He loves fresh salmon, especially when he used to take the boat out past the Golden Gate and catch the fish himself. Of course, I was always seasick from the waves. Salmon is a well-rounded fish. 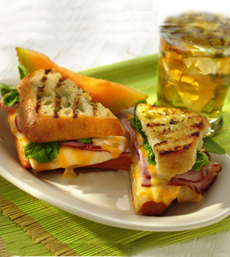 You can make it a million and one different and tasty ways and it is really easy to prepare. One of the classic ways to cook salmon is by barbecuing it either on a grill over an open flame or in the oven. For many of us, our fathers are our heroes. We appreciate them for their love and guidance. A good father can set an example of strength, honor, sacrifice, and responsibility. On Father’s Day, we honor dads for their love and the lessons they have taught us. I Love you DAD! Have fun on the boat today!